Many a baseball fan knows the feeling of pure frustration derived from watching their team leave runners on base. Agitating though it may be, your team might out-hit an opponent 14-3 and still lose 1-0. Giants fans in particular know this feeling all too well. 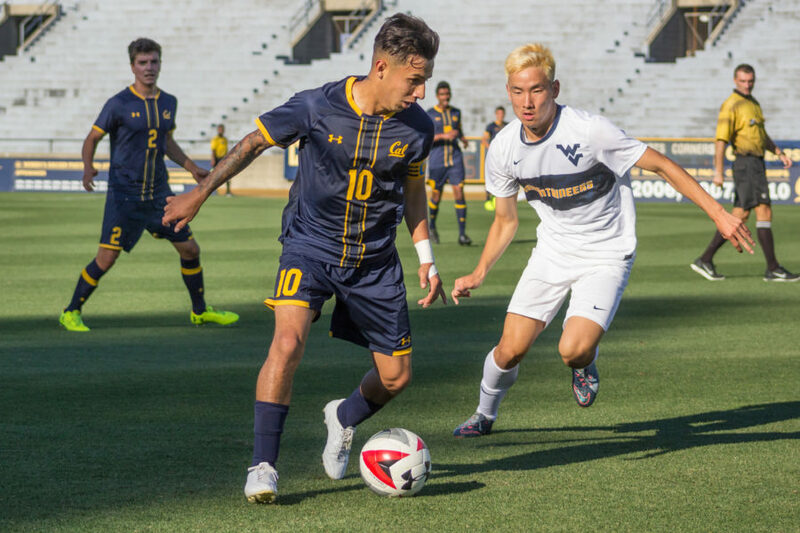 For fans of Cal men’s soccer, similar frustrations were in the air Friday night, as the Bears fell to West Virginia 1-0 despite having outshot the Mountaineers 14-3. West Virginia took an early lead when midfielder Jad Arslan scored the game’s only goal in the 19th minute. Cal was tentative in the first half, taking only three shots. After halftime, however, the Bears returned to the field with a newfound intensity, taking 11 shots and holding the Mountaineers to none. With three of those second-half shots on goal and nothing to show for it, Cal’s evening was one characterized by missed chances. While the scoreboard was not reflective, Cal did put forth a very commendable effort, showing off its physicality, especially in the second half. Redshirt senior Jose Carrera-Garcia took an impressive four shots and demonstrated his high-caliber footwork, showing off his deceptive dribbling skills. Sophomore goalie Drake Callender was charged with the loss Friday but recorded a commendable save in the first half. Callender continues to have huge shoes to fill in the 2017 season, as former star goalie Jonathan Klinsmann left the team to go pro this offseason, signing with Hertha Berliner Sports Club in July. Friday also saw the debut of freshman Tommy Williams. 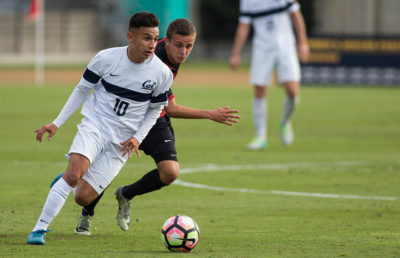 The forward, a product of the Strikers FC Academy, played 19 minutes and appeared comfortable, given the pressure of playing in his first NCAA-level game. Williams and the rest of the team were undoubtedly feeling a high degree of adrenaline when they stepped out onto the field for their first game of 2017. It was in that second half that the Bears exhibited that adrenaline most clearly, potentially to a degree that was detrimental. Whether it was the adrenaline or just pure bad luck, the fact of the matter was that Friday, the Bears simply could not score. They had opportunity after opportunity, and just like everybody’s favorite frustrating baseball team, they could not get on the board. Never mind the box score; Cal outplayed West Virginia and can look to hold on to its intensity, but it must improve its ability to finish as the season wears on. Adriana Ghiozzi covers men’s soccer. Contact her at [email protected].